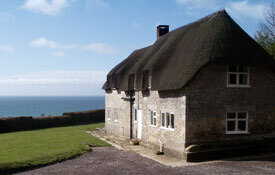 Fantastic selection of around 100 hand picked holiday cottages in and around Dorset and the Coast. Various sizes and styles. Dogs welcome. 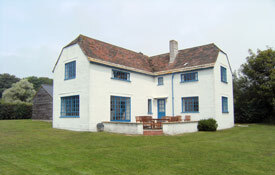 Doggy Cottages, part of Dream Cottages - Dorset's largest cottage agency, have a superb selection of around 100 dog friendly holiday cottages in and around Dorset. With cottages to suit all size, style and budget requirements; the hardest decision will be which one to choose! 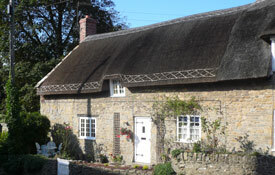 Staying in a holiday cottage while visiting Dorset can be a perfect holiday for you and your pet. With miles of coastal walks along the Jurassic coast (which has heritage status), pet friendly beaches, village pubs with beer gardens, and country walks; there are few better locations for a well deserved break. Doggy Cottages have on offer a selection of almost 100 pet friendly cottages throughout Dorset including some in villages, rural, seaside and town locations, sleeping from 2 to 12 people each. Our properties range from traditional thatched cottages to contemporary newly built town houses, all are independently VisitBritain inspected and sure to be a great base for a holiday for you and your dog. We have detailed knowledge of the area in Dorset and its surrounds, and one of the team will have first hand knowledge of each of the properties. We can advise you personally on the most suitable accommodation available for your budget, dates, party size, pet and coastal or country location requirements. Dogs are charged at £18 per pet per week. **Please note, as Doggy Cottages have around 100 cottages to choose from, the map above indicates the location of their office. 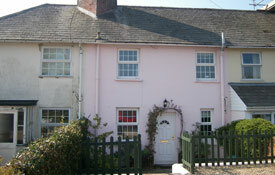 Their cottages are all around Dorset and the coast. Pets are charged at £18 per pet per week. A deposit of 1/3 of the total booking cost is required to secure the dates with the balance due 8 weeks prior to arrival. Bookings made within 8 weeks of arrival will be subject to full payment at the time of booking. In addition, a booking fee of £18 is payable.